Everybody likes to talk about their vast collections of Canon or Nikon glass. Blah, blah, blah. Good for them. But, for the rest of us? Those of us that are just way too cool for school and like taking pictures with our lenses rather than watching them rot on a shelf? 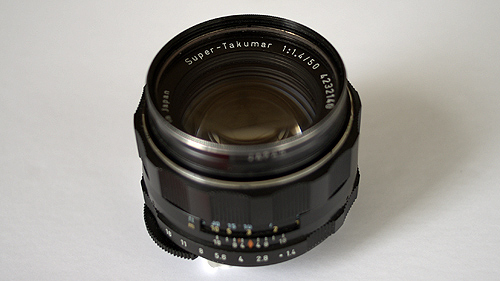 Well, we know the goodness of the Takumar lenses from Asahi. Heavy in the hand, but so smooth to the eye. We like to call the one pictured “The Baby Lens” cause it just loves looking at newborns and makes that new skin look like it’s glowing from the inside out. Shooting in natural light and bouncing it here and there is such a simple pleasure and these lenses with their optical peculiarities and quick adjustment help make the camera even more invisible to the operator. And before all you Canon and Nikon-o-philes write your snarky hate notes… We’re just kidding, we like Canon and Nikon, too. Remember, they’re just tools. We like the black ones to use when filling areas in thumbnail storyboard sketches. It lets you clean up these little illustrations quickly and helps simplify small compositions when working small. 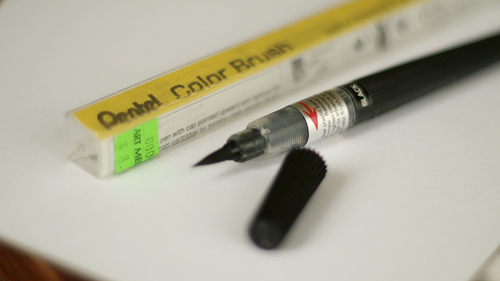 A lot of artists do fantastic work with these, but we use them in a bit more utilitarian way. They’re similar to the Waterbrushes we posted earlier, but these come pre-filled with inks in a range of colors. Cheap and creamy, they just work. Bonus tip? Mix these with a touch of Liquitex soft body acrylics and you’ll hit the viscosity jackpot where brush and knife are both made happy. Got a house with lap siding you want to repaint or need to get flaking and failing paint off relatively flat surfaces like wooden doors or furniture? 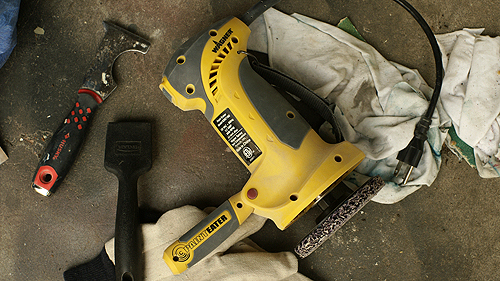 Do yourself a favor, bite the bullet, and spend a few bucks on this tool, The Wagner Paint Eater. It really only does one thing, but does it very well. No joke, it will cut down your prep time drastically. Way better than sanding, the special disc blasts off the failing coatings and follows up the carnage with feathered edges. Yep, it does the scraping AND the sanding in one go. You may have to purchase additional discs as they wear, but this thing has easily changed what used to be a day full of scraping one side a house into a thirty minute exercise in efficiency. What? Think this is an odd tool to post about given the creative nature of the others? Think of it this way… Spend some time with the Paint Eater if you’re in need of it and you’ll be able to get back to the creative pursuits you’d rather spend your time on. Or, if you’re in the neighborhood and spot us up on the extension ladder complete with respirator, overalls, and an ipod, feel free to interrupt us with a couple americanos from down the street. We’re always up for a coffee break. Silky smooth transitions from dark to light and cartridges that refuse to become bound from unbalanced tension. If you can find it, then buy it. If not then no problem since you won’t know what you’re missing anyways. Ignorance is bliss. 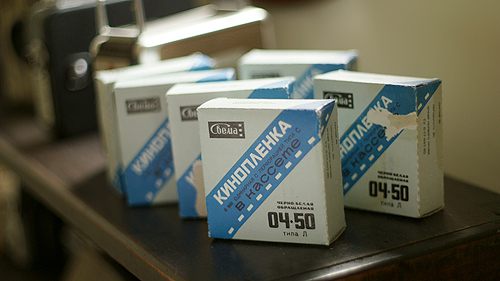 Our experience with this dead-stock has been problem free, as has all our use of russian photographic equipment and supplies. It’s difficult to super-hate on this Super8. Pair this with a Canon Superzoom or even an ultra minimal windup Quarz camera and you’re living the high life. Plus, you’ll gain instant street-cred with the Ukrainian-photophiles in your crew. Some say it’s the honey in the tubes that’s the key to their quality and we believe them. Open a tube you’ve been using for years and the quality remains like the day you bought them. You can’t go wrong picking these up and they’re cheap for what you get. 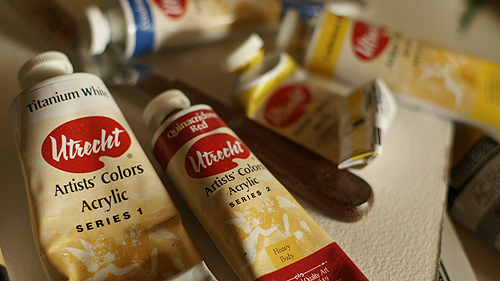 Forget those other national brands that pack every art store’s shelves and give these a try. 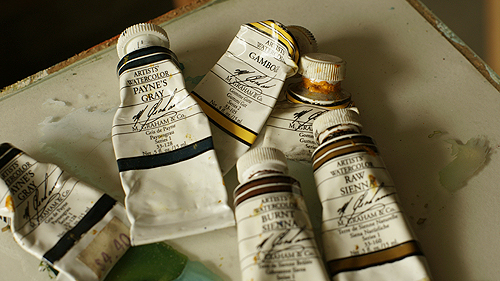 Favorites in this line include their Paine’s Gray that shifts towards blue in light washes that’s perfect for solo pigment paintings and the Gamboge is about as close as you can get to the rich light we receive here in Oregon about mid August. Sunshine in a tube that never sets. It’s a workhorse that has never let us down. Mechanical controls and needle tell you what’s up with an ‘always-on’ functionality that is easy to take for granted. Keeping things simple is a pleasure with this little guy and lets you spend more time taking pictures and rolling film rather than wasting your time fussing with equipment. 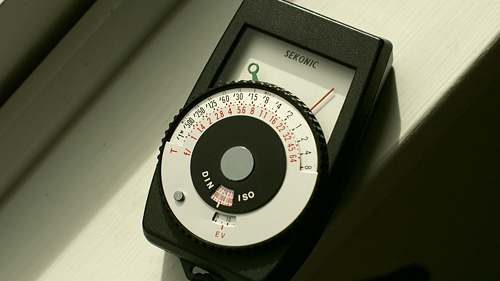 Of course, everything has its pluses and its minuses and incident meters are great when a reflective-only device won’t do, but from a cost and durability standpoint, the Sekonic Auto-Lumi L158 is hard to beat.